Alcohol consumption is drinking beer, wine, or distilled spirits such as gin, whiskey, or vodka, that contains ethyl alcohol. In earlier times, when subsistence agriculture was the norm, alcoholic beverages, usually beer or mead (fermented honey and water), provided a substantial percentage of calories in the diet. Today people drink alcohol to relax and socialize, to get high, or because they are physically addicted to it. Using this definition, one regular beer contains about 145 calories. One glass of red wine has 105 calories, and white wine has about 100 calories. One shot of distilled spirits has about 95 calories plus any calories in the mixer used mixed drinks. Good evidence based on more than 100 studies shows that moderate alcohol consumption can help prevent heart attack, sudden cardiac death, peripheral vascular disease, and stroke caused by blood clots (ischemic stroke). The risk of these diseases is reduced between 25% and 40% in both men and women. The reduction is seen in both people who have no apparent heart disease and those who are at high risk of heart disease because they have type 2 diabetes, high blood pressure (hypertension), angina (chest pain), or have already had one heart attack. Researchers suggest that this protective effect occurs because alcohol increases the amount of HDL or ‘‘good’’ cholesterol and also affects various proteins in ways that make blood clotting less likely. In two other large studies, people who were moderate drinkers also were less likely to develop type 2 diabetes and gallstones. Gallstones are hard masses of cholesterol and calcium that form in the gallbladder. Finally, moderate drinking serves a social purpose that can provide psychological benefits. Do you have a bad hangover? a) The first thing to do is to try to get rid of alcohol, which is still in your body. One type of sugar called fructose, is a great help because it rapidly burns alcohol. Fructose is found in large amounts in some fruits, and especially in honey. A good idea is to drink apple juice or papaya, sweetened with honey. In addition, drink plenty of water with added Aloe Vera Gel and nectar. This is a great way for hydration and expansion of the arteries and veins in the head. Thus decreasing pressure and thus pain. b) If the morning you have a very bad headache and after you drink Aloe Vera, try willow tea (made from bark). Willow is a tree of family Salicaceous, which contains a natural form of salicylic acid, the active ingredient of aspirin. You can take two aspirin, preferably at night before going to bed and when you wake up in the morning. c) Drink plenty of water with the juice of Aloe Vera before going to bed and after waking up. This will help you deal with dehydration caused by alcohol, and to feel better in the morning. All the components described in these pages are nutrients and supplements, most of which are of natural origin. Evidence of disease and their treatment is based on personal knowledge or taken from bibliographic references. They do not constitute medical advice and formal. If you follow the instructions and treatment described here, do so under the supervision of an authorized medical practitioner. Do not stop treatment if treated as prescribed by your doctor. 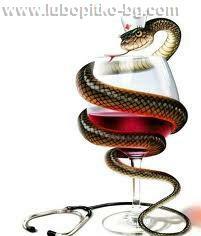 Moderate alcohol consumption also carries with it some risks. In women, even moderate drinking is associated with a modest increase in the risk of developing breast cancer. However, researchers suggest that taking at least 600 mg of folic acid daily will counteract this increased risk. 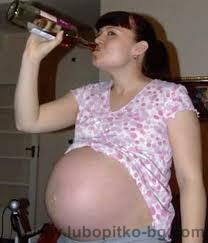 Even moderate alcohol consumption by a pregnant woman can damage the developing fetus. Alcohol consumption can also alter sleep patterns and interact with many medications (see Interactions below). However, by far the greatest risk of moderate drinking is that for some people it will lead to heavy alcohol consumption, alcohol abuse, and alcohol dependency. Twin and family studies indicated that there is an inherited tendency for some individuals to develop alcohol abuse disorders. Heavy alcohol consumption is defined for men as consuming 15 or more alcoholic drinks per week and for women as consuming 8 or more drinks per week. Between moderate and heavy alcohol consumption is a gray area of potentially problem drinking that includes binge drinking. Binge drinking is heavy alcohol consumption that occurs intermittently. Bingeing for men means consuming 5 or more drinks in a period of about two hours. For women, it is consuming 4 or more drinks in the same time period. About 60% of men ages 18-25 binge drink. Heavy alcohol consumption leads to two alcohol abuse disorders that are recognized in the Diagnostic and Statistical Manual for Mental Disorders Fourth Edition (DSM-IV-TR) published by the American Psychiatric Association. More men abuse alcohol than women, and these men begin drinking at an earlier age than women. Alcohol dependence is diagnosed when one or more of the following occur within a 12-month period.  Repeated alcohol use causes failure to fulfill obligations at work, home, or school.  The individual repeatedly performs hazardous activities such as driving or operating machinery while under the influence of alcohol.  Alcohol use causes legal problems.  Alcohol use continues despite problems it causes in relationships.  These symptoms do not rise to the level of alcohol dependence. Alcohol abuse, or alcoholism, is diagnosed when three or more of the following occur within a 12- month period.  Tolerance to the effects of alcohol develops.  Stopping drinking causes, or would cause, physical symptoms of withdrawal.  More alcohol is regularly drunk than is intended.  Getting alcohol, drinking, and recovering fromdrinking alcohol consumes a great deal of time.  Work, social, and recreational activities are replaced by drinking or recovering from drinking.  Alcohol use continues despite its causing obvious physical and/or psychological problems. On any given day, about 7% of Americans, or more than 17 million people, are alcohol dependent or have alcoholism. Costs related to alcohol disorders are estimated to be more than $185 billion annually. 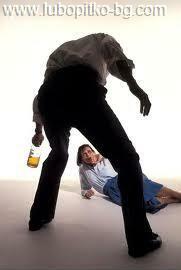 Alcohol disorders are related to increased rates of motor vehicle deaths, homicides, suicides, and domestic violence. About 34% of Americans never drink alcohol. People with alcoholism do not eat healthy, balanced diets. When 30% or more of an individual’s calories come fromalcohol, serious nutritional deficiencies develop. Not only do people with alcoholism fail to get the protein, vitamins, and minerals they need, alcohol interferes with the absorption of the nutrients they do eat. People who abuse alcohol develop malnutrition and deficiencies in essential amino acids, B-complex vitamins (especially vitamins B1, B2, and B6), and vitamin C. They may develop either deficiencies or excesses of vitamin A. Along with nutritional deficiencies, the person with alcoholism often has liver damage. Cirrhosis, a disease in which the liver develops scar tissue and stops functioning, is the cause of death in about 32% of people with alcoholism worldwide. Alcoholism also substantially increases the chance of dying by violence or developing esophageal cancer, mouth cancer, and liver cancer or breast cancer in women. Heavy drinking increases the risk of stroke and cardiovascular disease and can cause brain damage, loss of judgment, loss of motor skills, and memory loss.